Campervan gift products are an ever present part of our gift range. As a leading Kent Gift Wholesaler we carry a wide selection of wholesale Campervan gifts and giftware - wholesale Campervan Mugs, Campervan Mug and Coaster Sets, Camper Van Salt & Pepper Sets, metal Campervans, Collectable Campervan products, Miniature Camper Vans, Camper Van Keyrings, Campervan Clocks, wholesale Campervan ornaments and Campervan Sationery. Retro and Contemporary design campervan gifts. Our buying team at Sparks Gift Wholesalers are always looking to add the latest trending design Campervan gift products to our stock. 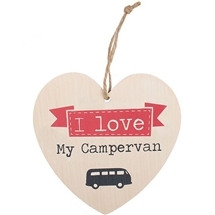 Wholesale collectable campervan ornaments, novelty campervan gifts, fun design campervan products, campervan gifts for the home, personal campervan gifts, campervan gifts for him, her and the kids! Pyschedelic design, CND, trendy design wholesale campervan giftware.